a. Induction of new Recycling Champion – Carol Carol has kindly agreed to take over as recycling champion from Nick. Nick will brief her on what is involved. The battery recycling will stay where it is. b. Water on the pavement – anything to report? c. Paul guidance email on the website, etc. Great fun once again! Thanks to Sue for hosting, to Mary and Paul for set up and table. A very successful and enjoyable event! Thanks to Sally & Jonathan for hosting, John for the carols, and Nick for the mulled wine preparation. Sally and Jonathan to be reimbursed. Wine to be disposed of in the group, at cost price. John adds: Sally and Jonathan have now been reimbursed, and will make a list of the bottles available and at what cost price, which we will circulate to VRG. Anyone who would like to take some bottles should then apply to Sally and Jonathan, and reimburse VRG funds. Short season in May or June. 3 nights – one under the stars, one in the St Michael’s Hall, and one in a house. Funding – The general feeling was that the VRG might subsidise the pilot event by maybe £25 pounds but in general the season should be self-financing through voluntary donations. The cost of equipment might be reduced by using that already in someone’s house in the road. o The (newly redecorated) URC Hall provides an alternative to the St Michael’s Hall. It is cheaper. o For the season, best to have venues that mean that the evenings are open to all in the street. Films to be shown – There was concern that the pilot film should be of broad appeal, (e.g. ‘Some like it hot’) to show people that the season is designed for all in the street. Format of the evening – Good to have someone to introduce each film (e.g. Paul for the first one), and some discussion after. Perhaps meet for drinks before the film starts at 20.30. Date – 18th March was agreed. John will discuss further with Paul to firm things up, distributing a detailed proposal to VRGers. Others may also wish to talk to Paul individually. a. Sam – next LCON meeting on 25 Jan – car clubs. b. Paul and Mary have had 3 quotes for putting photovoltaic cells on their roof, and are happy to advise others. 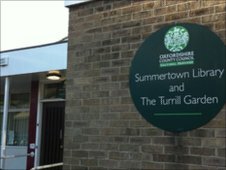 c. Celia – Closure of Summertown library – please get involved in the campaign to stop it. d. Nick – The Labour city administration is planning to emasculate the Area Committee Meetings. Again, please act. f. Anna – A new second signatory is needed for the VRG account. (Nick is moving on.) Mary kindly volunteered. Date of next meeting Wed 23 March, at Sam and Ali’s. The next Music Evening is planned for the Autumn of 2011. Note from Nick. The role is actually defined by the City Council, so I guess that we would need to discuss whether one is wanted at all for VRG, then if any VRG-specific aspects of the role. The Summertown Library on South Parade, Oxford, is threatened with closure in response to the reduction in funding levels available to the Oxford Council. Summertown’s Libary is only one of 20 of the county’s 43 libaries that are planned to be cut. The Summertown Library is in the ‘Grade II-listed Bury Knowle House … overlooking Bury Knowle Park’ (Walker 2011). A number of writers have questioned these cuts to libraries, including Peter Hitchens, Philip Pullman, and Colin Dexter (Walker 2011). 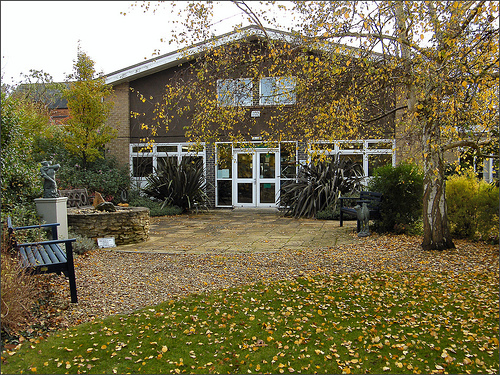 There has been vocal opposition to the closure from Summertown’s library users, as reported in ‘Summertown library users react to the cuts’, BBC Oxford, 26 November 2011. There is something you can do, as an online petition has been created. A blog by Oxford Save Our Services is useful to read. See: ‘Online petition against Summertown library closure’, Oxford Save Our Services at: http://oxfordsos.org.uk/?p=320 This site informed the public of an online petition to keep Summertown library open (petition has now closed: see post below). It also features short videos regarding opposition to cuts in services. Victoria Road News and Views would also like to hear your thoughts on the library closure, what can be done, and how library services could be provided in the future without the Summertown Library. In addition, a public meeting is scheduled on 2 February at 7.30pm, in the Main Hall of St Edward’s School, entry via the Woodstock Road entrance to the main site. The meeting will be a source of information as well as an opportunity to be present at the beginning of a ‘Friends of Summertown Library‘ group. Chris Walker, ‘Journalist and Author is Backing Libraries Battle’, Oxford Times, Thursday, 13 January 2001: 7.